The photograph on the wall depicts an event that had caught my attention when it was mentioned in the biographical commentary in the long corridor that led into the exhibition. This event took place when Tunguely was living in Paris and was called "The Transport". He had to move several large sculptures from his studio to a gallery, and he did this in the form of a street parade, complete with brass band. There was film of it, too, and it looked just as much fun as I'd imagined from the description. 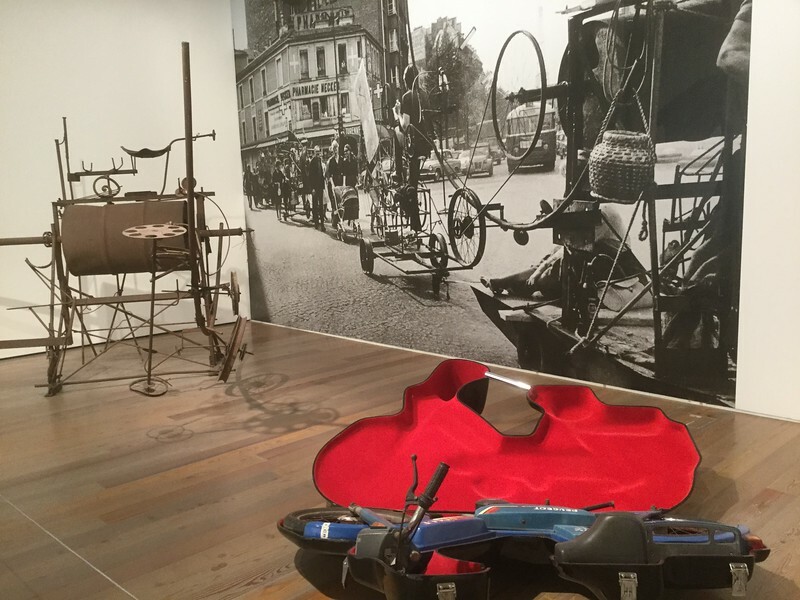 The item in the foreground isn't by Tinguely but by Wim Delvoye, the subject of a temporary exhibition in the museum. It's a carrying-case for a motorbike, and it does seem appropriate to exhibit it with "The Transport".